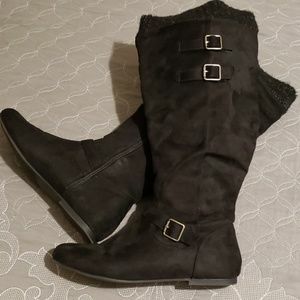 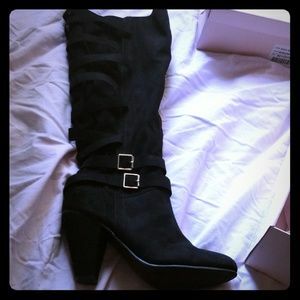 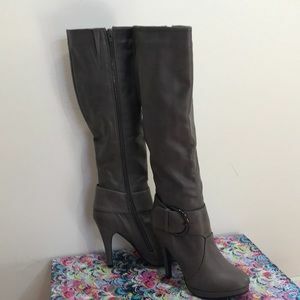 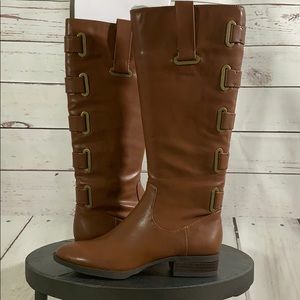 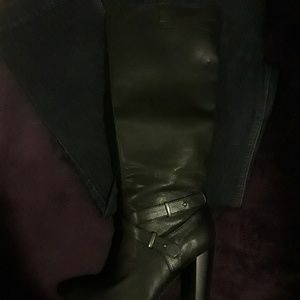 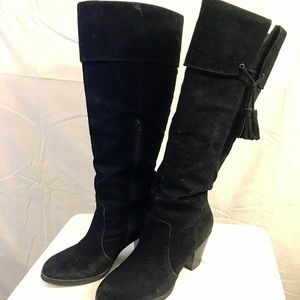 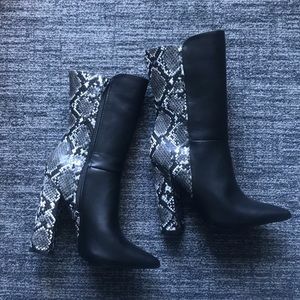 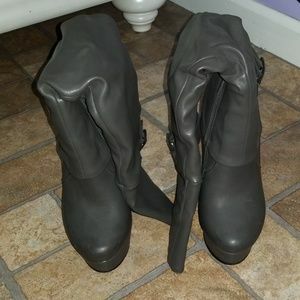 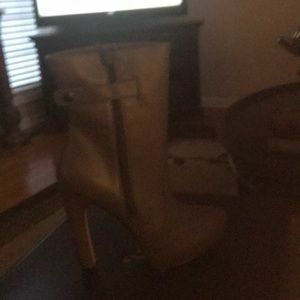 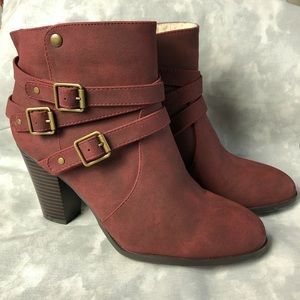 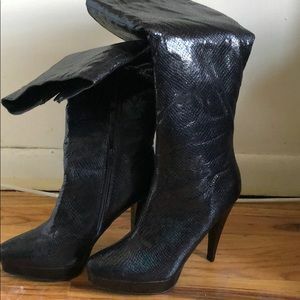 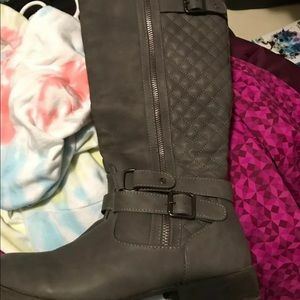 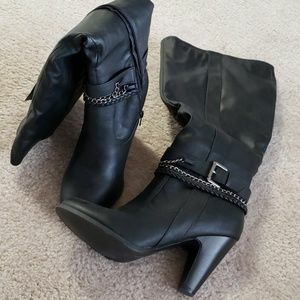 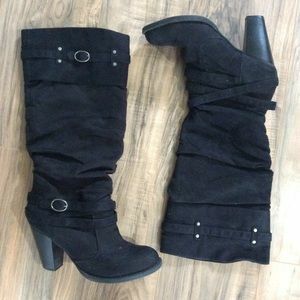 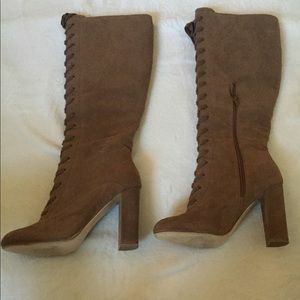 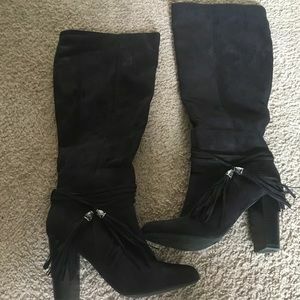 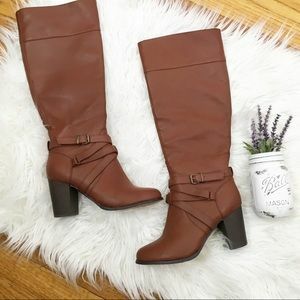 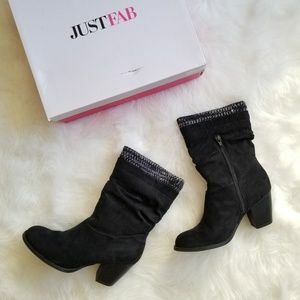 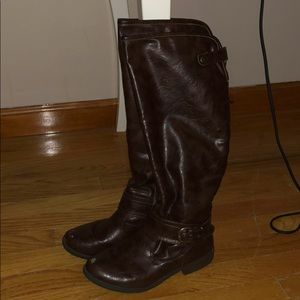 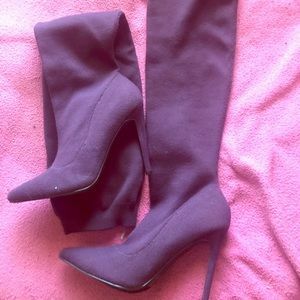 Black heeled boots with silver buckle. 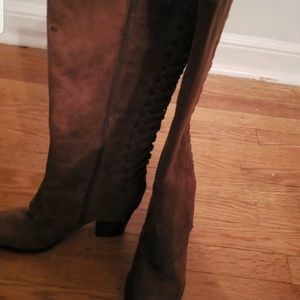 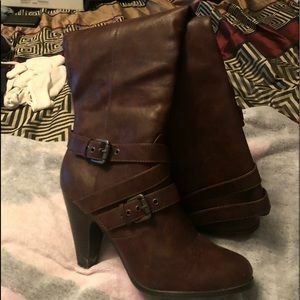 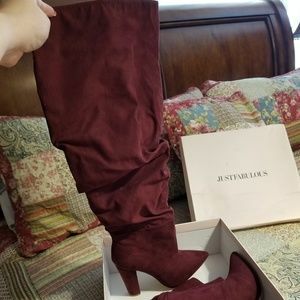 New boots they are beautiful. 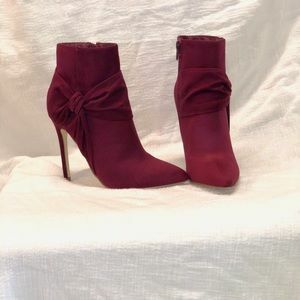 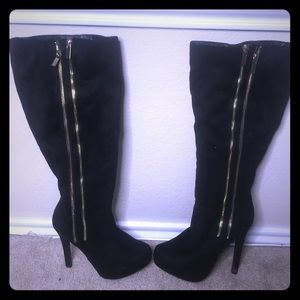 Lucille boot, faux suede, gold chains and heels.